Former Brighton and Hove Albion target Tammy Abraham looks like he is on his way to Wolves from Chelsea, according to reports. Chelsea are reported by The Sun newspaper to have accepted an £18m bid from Wolves. 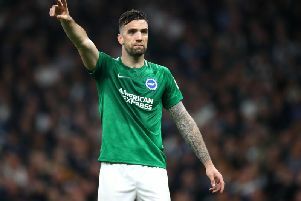 The striker, who was wanted by Brighton in the summer of 2017 as they headed in the Premier League, played for Swansea in both games against the Seagulls last season. This season he has been on loan at Aston Villa and has scored 16 goals in 20 games.